Together with the Development Partner, hub South West Scotland Ltd, Dalbeattie Learning Campus brings together Dalbeattie High School, Primary and Nursery Schools into one shared site. The campus is set as 4 teaching blocks clustered around a central social space with areas beside the Learning Campus developed for outdoor sports and teaching facilities. Dalbeattie Learning Campus was designed to also enable much greater use by the Dalbeattie community. 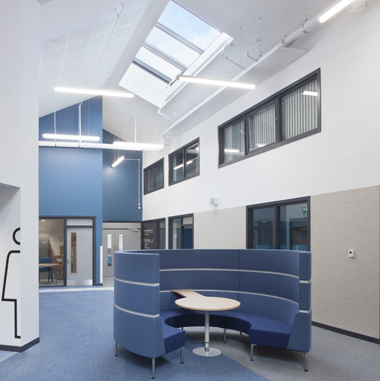 RMP provided full design and acoustic services and worked closely with the project team to ensure that Dalbeattie Learning Campus successfully met the requirements of BB93.